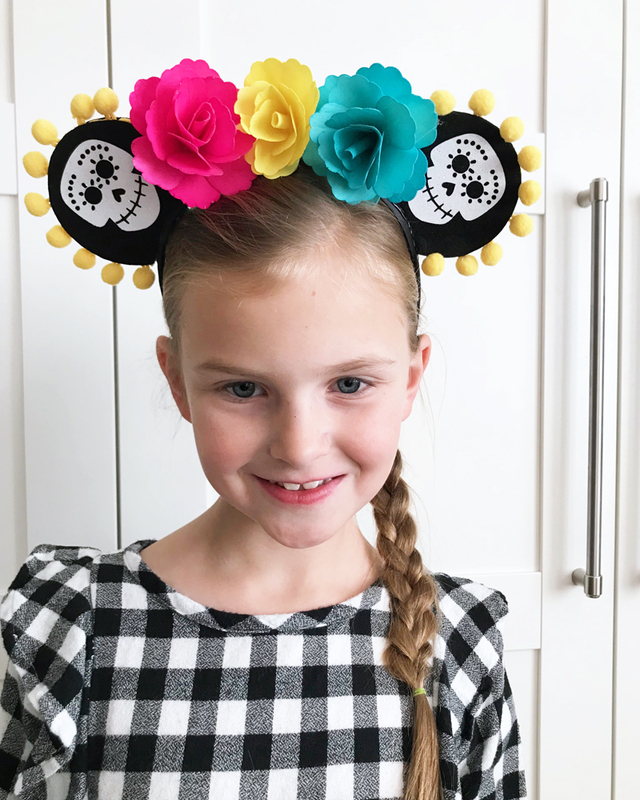 Have you seen the new Disney Pixar movie Coco yet?? I went this week and I adored it! I think it is my favorite movie from Disney for the past several years. You need to take your family to see it! 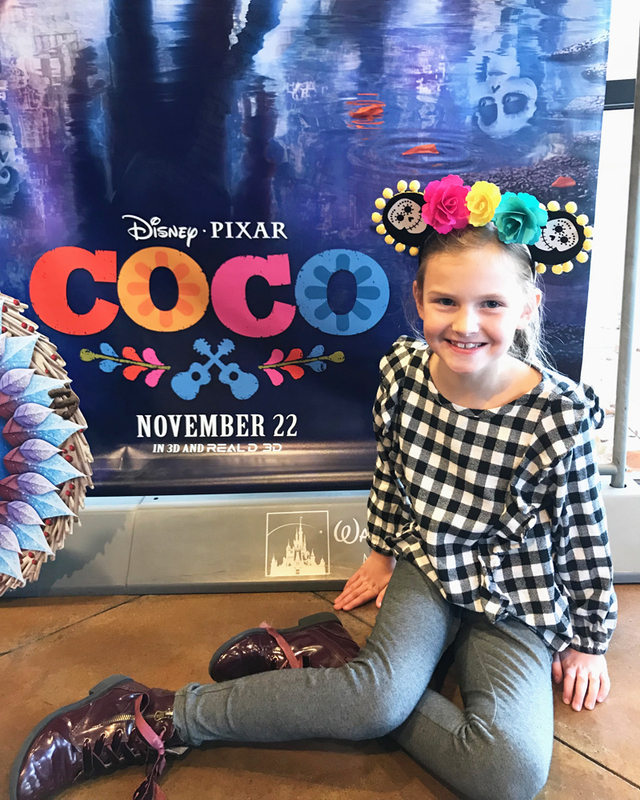 My daughter Anna loved the movie just as much as I did, so I decided to make her some Coco-inspired Mouse Ears! 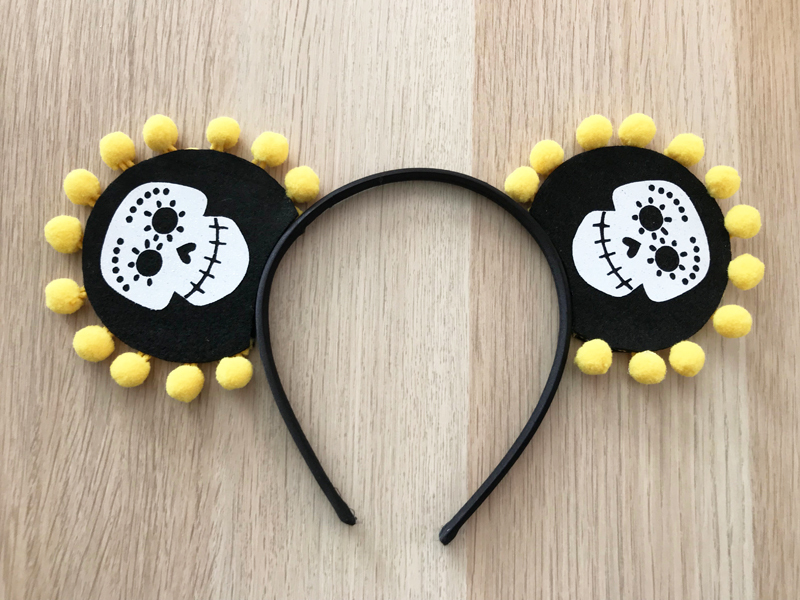 Shhhh, this is a surprise to my kids, but we will be taking a trip to Disneyland in a few months, and I thought these would be fun for her to wear one of the days we are in the park. If you don’t know much about the movie, Coco is inspired by the Mexican holiday of Día de Muertos, or Day of the Dead. The story follows a 12-year-old boy named Miguel Rivera who is accidentally transported to the land of the dead, where he seeks the help of his musician great-great-grandfather to return him to his family among the living. The music, setting and characters are full of color and life! 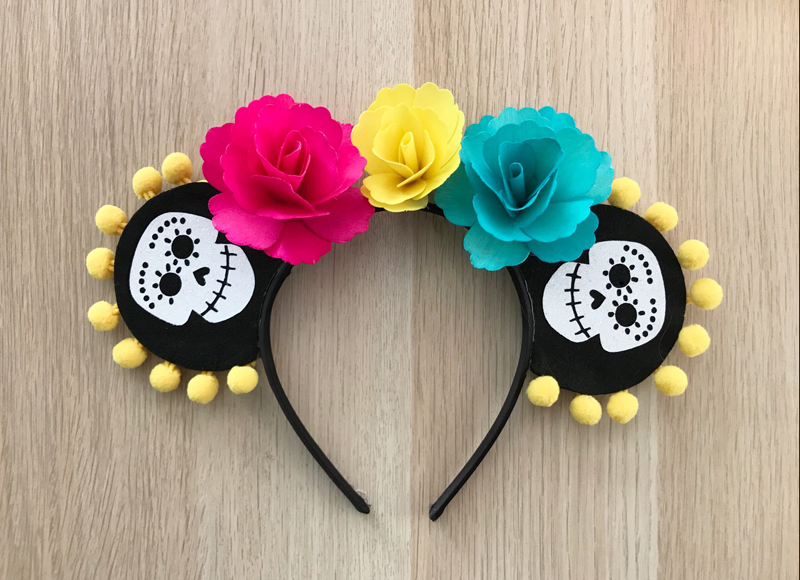 I wanted to take some of the visual and traditional elements of Day of the Dead, and incorporate them into the mouse ears. 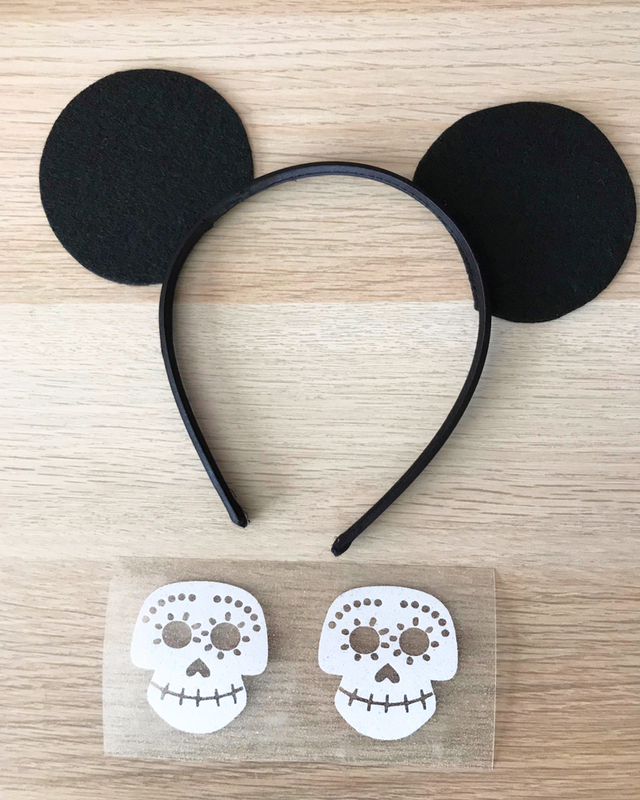 I knew a Sugar Skull design was a must, and I found this amazing cut file that looks just like the one from the movie! I got it from Magikal Cuts, you can purchase the Coco Skull cut file here. 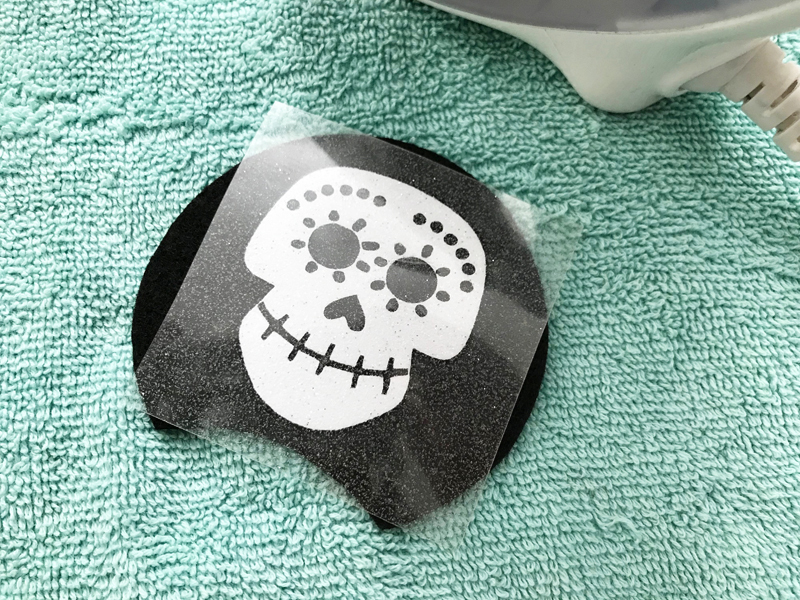 I used my Cricut Explore to cut out the skull design in white glitter htv (heat transfer vinyl) from Expressions Vinyl. bright colored flowers – we found these decorative wooden flowers at Target, but you could also use silk flowers, felt flowers, etc. 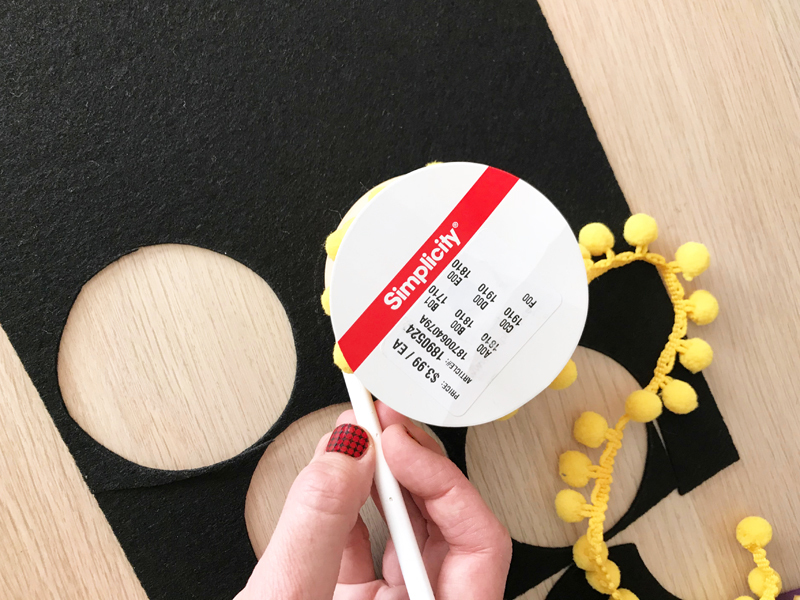 Place circles where they will attach to the headband and cut a small curve to match up with the curve of the band. 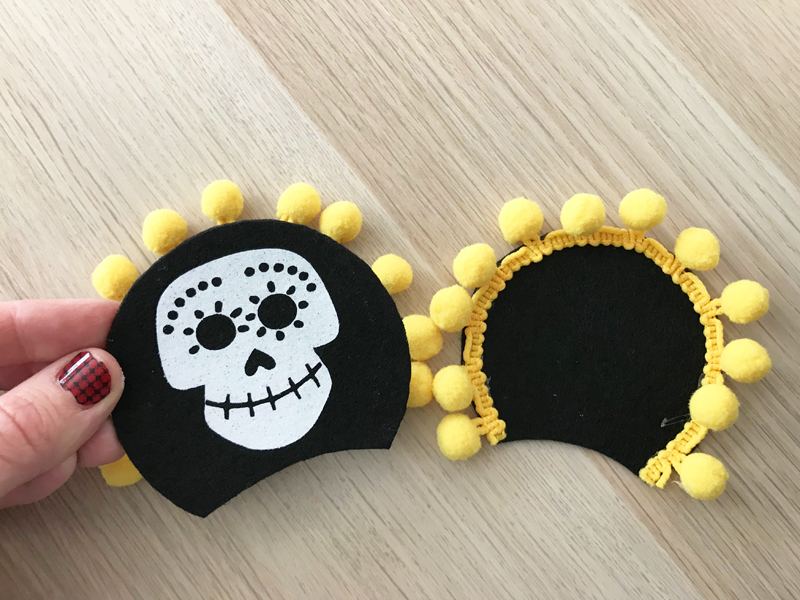 Cut sugar skull design out of htv vinyl and iron on to 2 of the felt circles. Glue the pom pom trim around the edge of the other two circles. 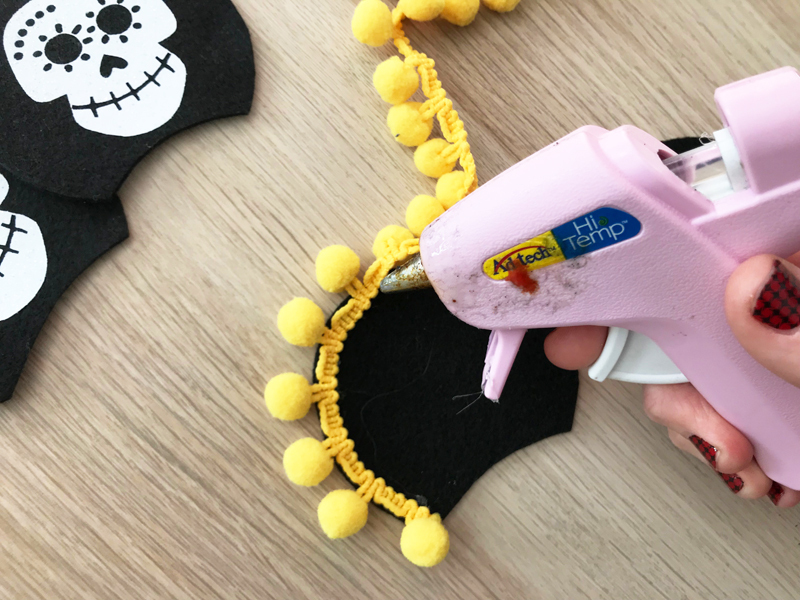 Now attach the skull ears on top of the trim ears with hot glue so they make a sandwich with the pom pom trim in the middle. 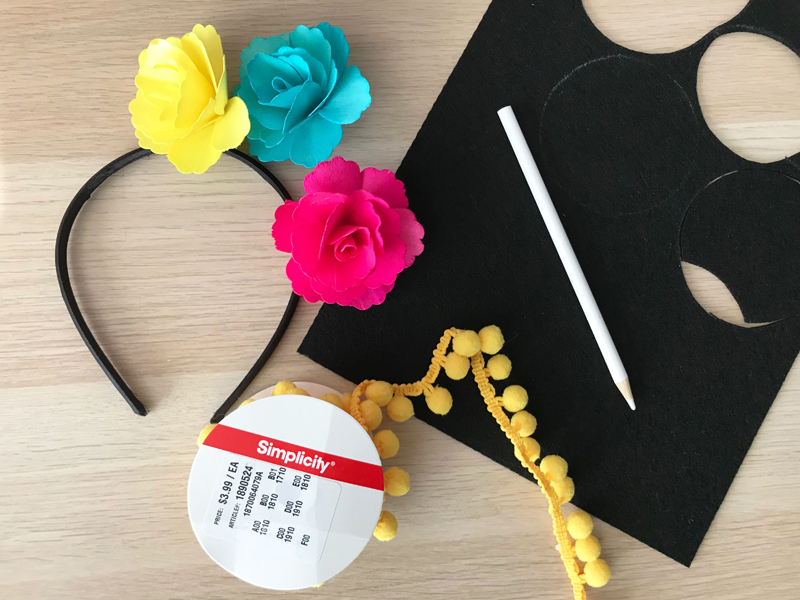 Glue the ears to the headband and add the flowers in the middle, with hot glue. My daughter was so excited to try them on…. and wear them to the movie!